Place a minimum $15 order (before shipping & tax) in My Stampin’ Up Store and you may choose ONE of my PDF tutorials for FREE. Just email me with your selection after you have completed your order. One tutorial per order. This offer is only available through me (Brenda Quintana). 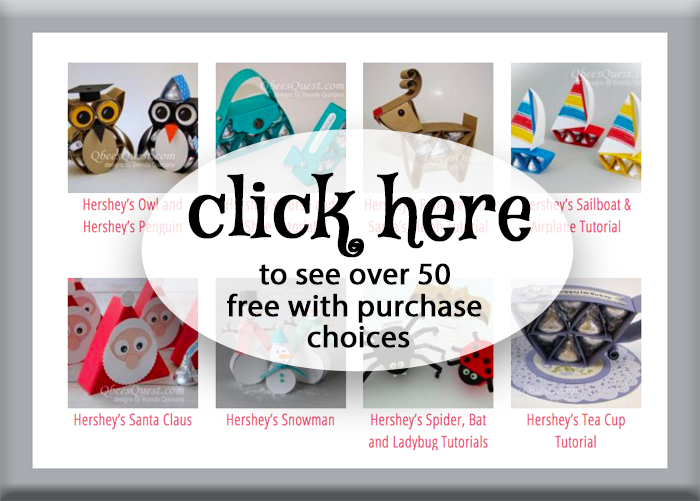 Click HERE or the banner below for the available choices. QbeesQuest Rewards is my way of thanking and rewarding you for your loyalty. 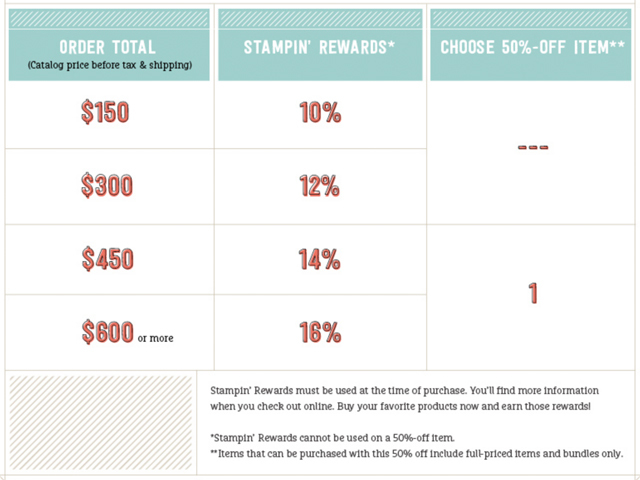 For every $50 (before shipping & tax) you spend in My Stampin’ Up Store, you will receive 1 point. When you reach 10 points within one year, you can earn a Stampin’ Up product (up to $30 in value) from me. For all the details see below. Get your tracking sheet HERE!! One point will be given for every $50* spent on Stampin’ Up! products in my Stampin’ Up! store. (For example a $48* order does not qualify for any points. A $100* order would qualify for TWO points. A $150* order would qualify for THREE points plus hostess benefits). *Amount is for product sub-total before shipping and handling is added. Money spent towards hostess rewards does NOT qualify. Once you reach 10 points, you will qualify for one current Stampin’ Up! catalog item worth $30 or less. I will allow a kit or bundle, provided that it has a single item number and is $30 or less. Hostess items do NOT qualify. You can NOT combine individual orders to reach $50. For example a $20 order one week can NOT be combined with a $30 order the next week to qualify for a point. One customer allowed per tracking sheet. Points are not transferable. Points will only be given for current Stampin’ Up products purchased through my Stampin’ Up! store. Includes clearance rack merchandise. Points expire one year from initial purchase and must be redeemed within 60 days of qualifying for the reward. You are responsible for tracking your own orders. Once you send me your completed tracking sheet, I will confirm the qualifying points and send you the reward item you have chosen. Orders must be placed through me, Brenda Quintana, to qualify. Terms and Conditions of the QbeesQuest Rewards are subject to change without notice. Place an order of $150 (before shipping & tax) or more and you’ll be eligible for Stampin’ Rewards from Stampin’ Up! For example, if you place a $200 (before shipping & tax), you will receive a $20 reward from Stampin’ Up that you can use towards any catalog product(s). Or you can use the reward towards exclusive stamp sets that can only be earned with Stampin’ Rewards (click the chart for more details).